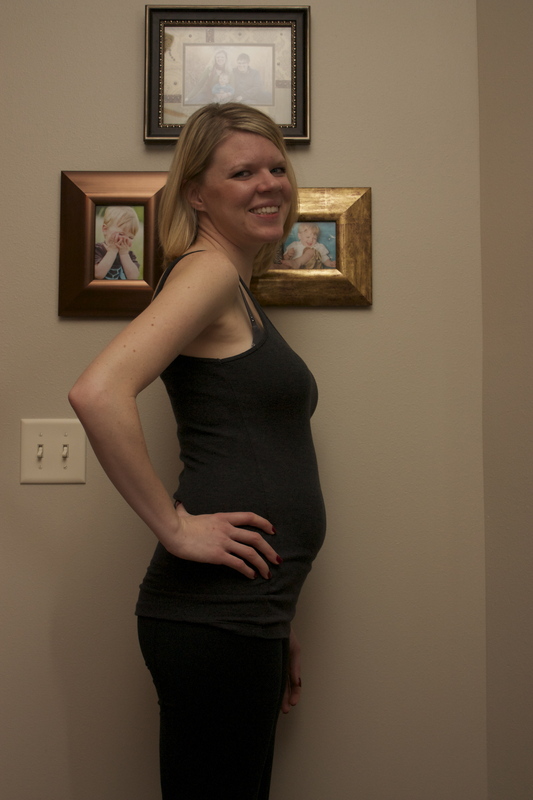 Baby Girl Larson is due the end of July, 2013! Well, I’m off bedrest and my medicine that is supposed to stop the contractions (Procardia). I’m experiencing regular contractions that range from every 5 minutes for a few hours to every 10/15 minutes for a few hours. I’m quite uncomfortable, to say the least! I went in yesterday as I didn’t think that contractions every 5 minutes was a good sign but the contractions still seem not to be doing much to dilate me so they sent me home and told me to come back when they are even more painful! So here I sit! I’ve done quite a bit of walking, some dishes, some laundry, more walking and still nothing! I guess she’ll comes when she wants to and there is no rushing her! 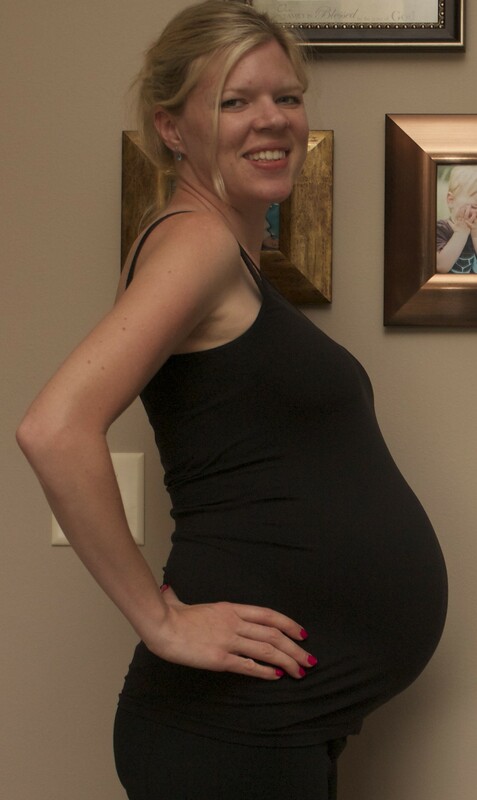 I know technically, I have 4 more weeks, but the fact that she’s measuring 3+ weeks ahead makes me a bit nervous to carry her to 40 weeks as I don’t want to birth a 10+ pound baby!!!! 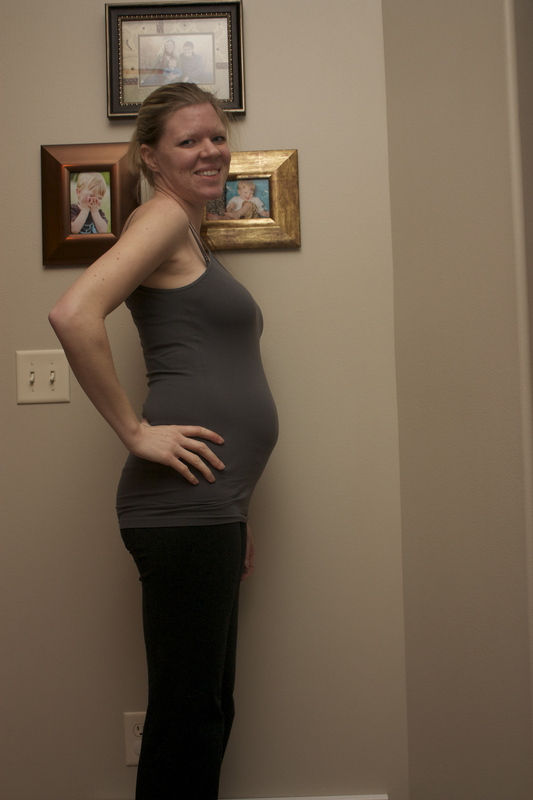 She continues to measure right on and bigger than expected for her gestational age and is perfectly healthy in there. As for me, I can honestly say that this bed rest thing is for the birds! I’m one that likes to be doing things and chasing my son and playing! It’s very difficult for me to sit around an allow others to clean and take care of my son. :-( I know it’s all for the best, but it still proves to be quite difficult. That being said, I’m very grateful for everyone who has been able to help us out during this time. I’m not sure how we can ever repay you, but we will find a way in due time! 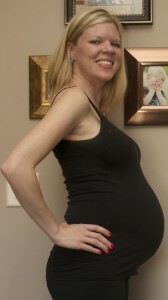 My last visit with Dr. McNamara was 2 days ago and I was 30wks 5 days pregnant. 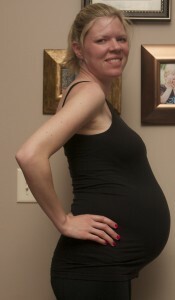 I am currently measuring 34 wks 5 days and the baby is estimated to weigh 4lbs 15oz! So, if i carry to term she will be one large baby! OR if I have her early, at least we know she’ll be nice and big! The doctor doesn’t seem to be too worried about me delivering early, he just suggests that I continue to take it easy and “listen to my body”. 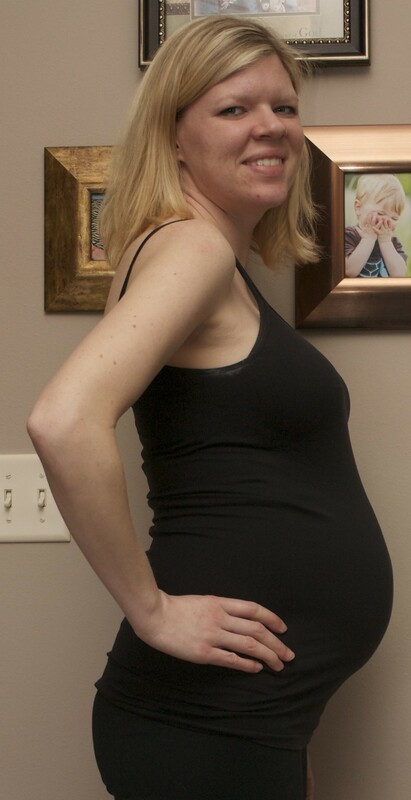 I’m still having constant braxton hicks contractions and they seem to be a bit more regular with a slight amount of pain. I’m going down in hours with daycare kiddos so as to allow my body to relax (as much as one can with a 2 1/2 year old toddler)! As far as preparations go, we have the crib set up and the bedding here! I continue to get the kids’ bedroom cleaned and organized so everything has a ‘place’! Next on the list for things to do is get everything washed and put away. I’m starting to get excited to meet her! I’m still watching the twins who are almost 10 months old and I watch a 17 month old 1-2 times a week. It’s starting to get hard to chase Tayden around and keep on top of watching the kiddos, but I’m still doing it and will do so until school gets out the end of May. Then I’ll go down to part time until I deliver. 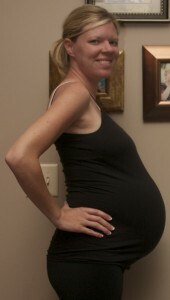 I continue to have Braxton Hicks contractions daily but my doctor attributes that to my silly uterus! Hopefully this ‘silly uterus’ doesn’t get any crazy ideas and keeps baby GIRL nice and safe in there for a few more weeks! I had a routine check up almost 2 weeks ago and everything is going great! They will continue to monitor me every other week and do a cervical ultrasound at each appointment to make sure everything is as it should be and my body isn’t preparing to go in to labor too soon. 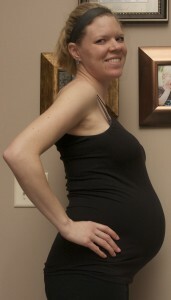 I’m definitely starting to feel the inevitable discomfort of pregnancy but it is manageable. 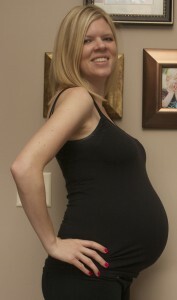 If you compare my pregnancy with Tayden to this one, you can see that I’m quite a bit bigger! According to my measurements, I’m about 3 inches bigger but weigh 1-2 pounds less at this point – in comparison to last time. The math doesn’t quite add up, but it is what it is! 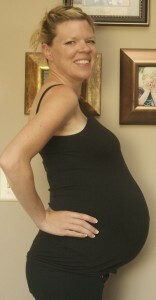 We will watch this pregnancy much closer this time in hopes that I will not go early again. 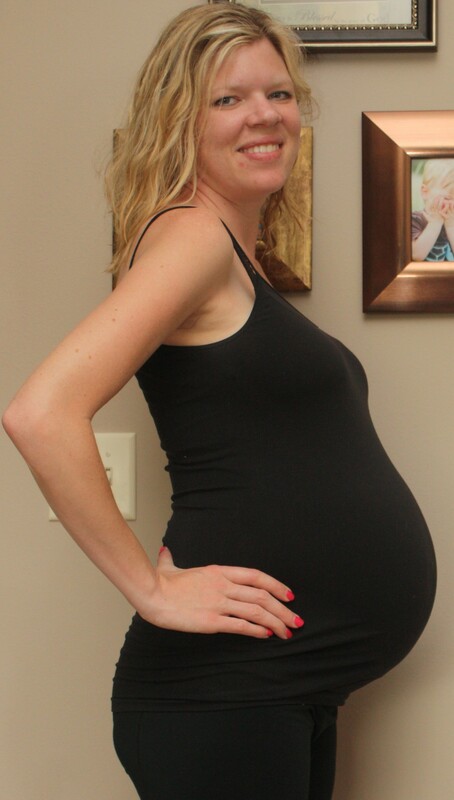 Since I have a bicornuate uterus, the possibilities of preterm delivery are heightened. 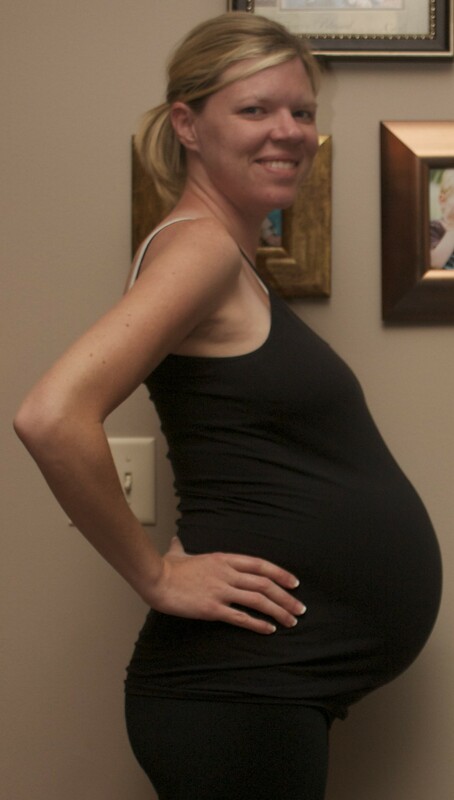 A bicornuate uterus is a heart-shaped uterus which sometimes doesn’t allow baby all of the room it needs to grow to it’s full size. 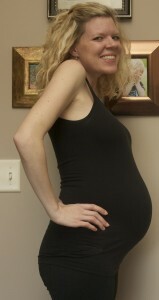 The doctors assume that is why I went early with Tayden. 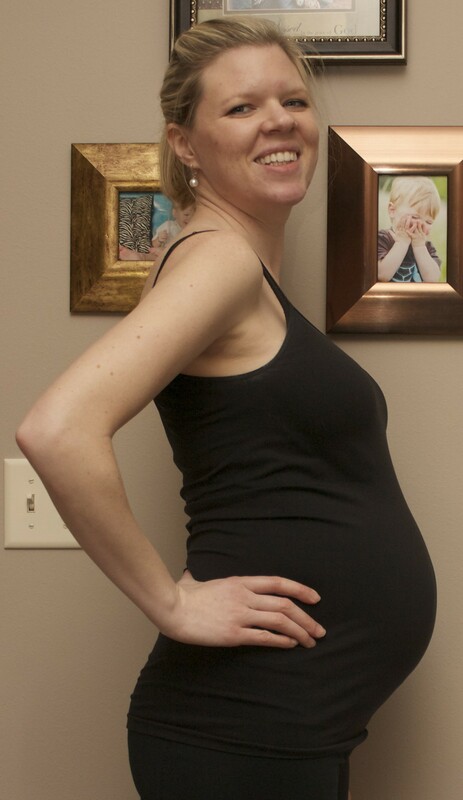 Most pregnancies like mine will result in breech babies so will likely need a C-Section. I’m hoping for a VBAC (vaginal birth after cesarean) but am not counting on it as this baby is still transverse and the doctor said she needs to flip within the next few weeks or it probably won’t happen for me. But that’s ok as a healthy and happy baby is the most important thing, so if I have to have a c-section in order for that to happen, so be it!